Despite what the media might have told you, smoking cannabis isn’t detrimental to your health. It’s much healthier than other (incorrectly) associated substances, like alcohol, tobacco and other drugs. As you are likely well aware, smoking marijuana is also linked to many positive health benefits. So much so, there is now a flourishing market for medical marijuana. But is there a healthier way to smoke cannabis? Is there one method that's healthier than another? 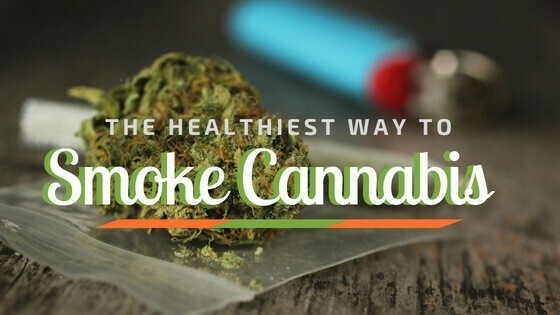 Keep reading if you want to know the the healthiest way to smoke weed. Today, there are perhaps thousands of pot products on the market. 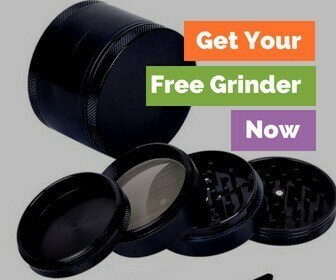 And thousands of ways to smoke and consume cannabis products. You can smoke, vape, dab, drink and eat your way across the cannabis smorgasbord. Despite the selection, the healthiest way to consume cannabis is very likely sticking to its all natural format. That means, smoking straight bud. You can expect no additives and no unnecessary or unhealthy ingredients. Bud is cannabis in its purest and likely healthiest form. Smoking pure flower also means you are benefiting from the possibly hundreds of medicinal compounds in cannabis. In a recent assessment of seized cannabis samples, researchers uncovered disturbing levels of chemical residue. The samples tested positive for propamocarb, tebuconazole, propiconazole and tolylfluanid, all fungicides. Some samples also had residue of imidacloprid, bifenthrin, and hexythiazox, which are pesticides. Tebuconazole may cause reproductive issues, and is a known eye irritant. Hexythiazox is a known skin and respiratory tract irritant. Tolylfluanid is a known likely carcinogenic for humans. And these were only the chemicals found on one small sample base, think about if this study covered more samples? Because of the contamination risk, the healthiest way to smoke cannabis is to smoke organic cannabis. Chris Kilham is the author of "The Ayahuasca Test Pilots Handbook: The Essential Guide to Ayahuasca Journeying" knows what he is talking about. In an interview with Tech Insider, he discusses why there is a movement for organic cannabis. In his opinion, just like you wouldn’t want to put chemicals in your food, you wouldn’t want to put them in your cannabis. Perhaps the best route to smoking the healthiest cannabis is to grow the product yourself. If you grow following organic principles, you’ll know exactly what you are putting into your body. No fungicides, herbicides, or pesticides, mean a entirely clean product. While organic marijuana sourced from a dispensary should come clean, there's always a chance of contamination or mislabeling. Unlike in the food industry, there is no official organic certification for cannabis. And we won't while it remains a federally regulated substance. Buying organic marijuana from a dispensary is placing your trust in the grower and the dispensary. Do you trust that they followed strict organic growing practices? What Are the Health Issues Associated with Smoking Weed? According to the research, smoking cannabis seems to be relatively safe, with low risk of any series or long-term health issues. Yes, many people still assume smoking, by its very nature, causes cancer, but this doesn’t seem to be the case with cannabis. Are Their Any other Side Effects? There are other side effects, but they are a relatively low risk and short-term. 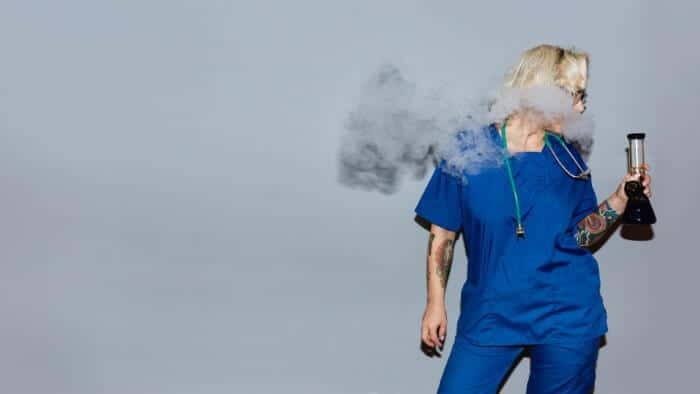 According to the same literature review mentioned above, smoking cannabis does seem to promote the production of phlegm and triggers a chronic cough. These symptoms eventually disappear once the person stops smoking weed. The other side effects of smoking weed are associated with the psychoactivity of THC, but not the act of smoking. Some people experience euphoria from getting high, while others experience paranoia. There's no information on why some people experience difference psychoactive responses to cannabis. You can look for high CBD strains to avoid the issue. The health issues associated with smoking are low and relatively short-term, yet smoking isn’t always for everyone. Children, seniors, professionals, and chronically ill are unlikely candidates for smoking weed. It shouldn’t come as any surprise that children should never smoke anything, not even medical cannabis. Chronically ill patients, using medicinal marijuana might also consider other ways of ingestion. 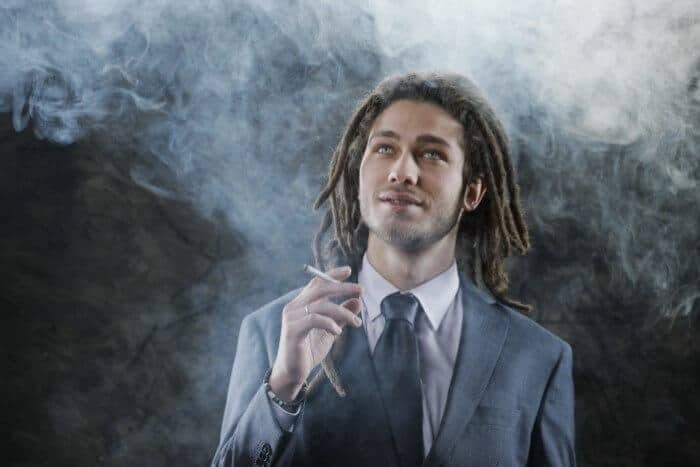 Even working professionals might prefer more discreet methods of ingesting weed. Smoking in your cubicle is still frowned upon in most circles. Therefore, consider the other healthy methods of ingesting pot. 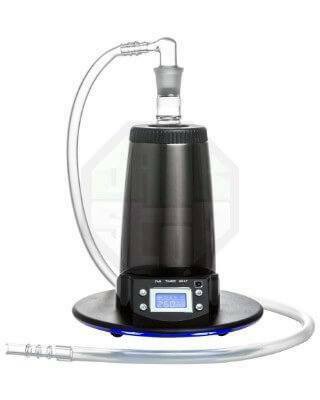 Vaping pure flower is an excellent method of consuming weed, without any of the smoke. Smoke consists of burning organic matter, which then turns into airborne particulate. When smoked, the particulate travels into the lungs. Vaping flowers, on the other hand, evaporates any moisture in the plant, taking with it the valuable cannabinoids and terpenes. The evaporation is then inhaled. Vaping avoids the harsh smoke, while at the same time maintaining the integrity of the medicinal properties. You’ll notice, there was no mention about vaping juices. Vape juice products are in an entirely different category than vaporizing buds. If you aren’t careful, you may find harsh chemical substances hidden inside the vape juice. The vaping industry isn’t regulated like the food and drug industry. Many disreputable brands can include otherwise banned substances, like diacetyl, in their products. Diacetyl is linked to the deadly disease called popcorn lung. A recent Harvard study concluded that 75% of the cigarette vaping juices they tested contained this substance. Be on the lookout and know your product before you purchase. Another relatively new product on the market is rosin extractions. Unlike other extractions rosin doesn’t need harsh petrochemicals to process. Rosin is an extraction process relying entirely on heat and a high-pressure press. This process forces the oils and terpenes from the organic plant matter creating rosin. The final product is an entirely pure wax, shatter, or other type types of dab products. If you prefer to smoke higher concentrates, but still want to be healthy about it, try looking for rosin on your next trip to the dispensary. Some of the more traditional extractions, like BHO, may contain unhealthy levels of chemical residues. Besides rosin, most extractions rely on chemical solvents to extract the cannabinoids. In most cases, it's nearly impossible to produce an entirely clean final product. According to a study published in Journal of Toxicological Sciences, which tested 57 samples of concentrates from dispensaries, nearly 80 percent of them tested positive for a solvent residue. Just like you wouldn’t want to inhale petrochemicals on their own, you likely won’t want to inhale them with your concentrate. This is something to keep in mind next time you dab. Where did that product come from and how was it extracted? Obviously, edibles are not smokable. They do offer another safe and healthy alternative to ingesting weed. Cooking with cannabis is an excellent way to reap the benefits, without inhaling anything. Eating brownies all day long comes with other health issues related to sugar. Thankfully, there are plenty of healthier edible recipes to try! Plus, edibles are a simple way to consume highly potent doses. Their benefits last much longer than an inhaled high, which means edibles are often a longer-term solution for the chronically ill.
Another often overlooked way to use cannabis is through a topical application. There are many herbal balms, salves and creams which contain cannabis extracts. These are going to work well for alleviating inflammation and pain. You won’t ever get high from smearing on a topical application of cannabis, but you will feel the medicinal effects. Often, the products containing marijuana, also contain many other valuable herbal ingredients. These can include essential oils and coconut butter, making them even healthier. Are Their Certain Products for Smoking Weed in a Healthier Way? This stationary desktop vaporizer from Arizer is built to vape quality cannabis flower, in its all natural form. This vape is completely customizable and gives you a healthy smoking experience. Thanks to features like a balloon bag and a whip, plus controllable temperature settings. If you prefer smoking higher concentrations or thinking about exploring rosin, get set up with a dab rig. 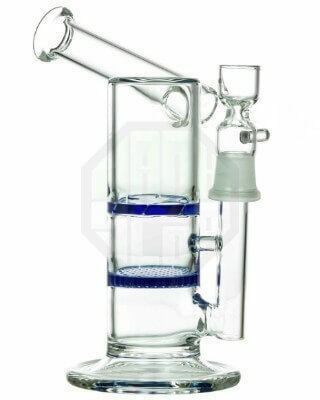 The honeycomb to turbine water pipe comes with accessories for any dab set up you enjoy. Honeycomb percs provide a completely clean smoking experience. Edibles are always going to be the healthiest way to consume cannabis. If you want to smoke, make sure to smoke with a vaporizer or a percolated bong. Were you able to learn the healthiest way to smoke weed? Or do you still have some questions? If you do, ask them away in the comments section below!